Firefighters from Portland Fire & Rescue, Hillsboro Fire & Rescue, and Washington County Fire District 2 assisted TVF&R crews. Since the rural area had no fire hydrants, crews had to shuttle water to the scene using water tenders. 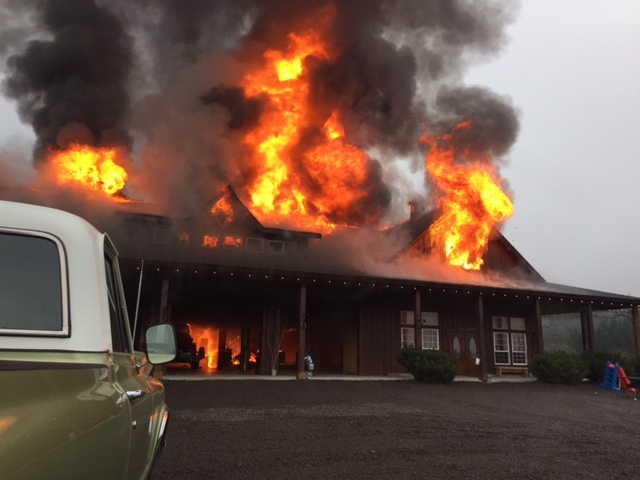 Because of the likelihood of a structural collapse and the presence of ammunition that was stored inside the barn, firefighters extinguished the fire from outside the building. Crews were able to limit fire damage to the barn and prevent it from spreading to other structures on the property. One man was transported by Metro West Ambulance to an area hospital for smoke inhalation. Crews remained on scene for more than two hours to extinguish hot spots. The barn was a total loss and a fire investigator is working to determine how and where the fire started.